NH Home Buyers LLC Need To Sell Your House Fast? We Buy Houses! Typically when you think of selling a home, you assume that you have to work with a real estate agent simply because that’s the way things have always been done. Yes, they are professionals that know what they’re doing, but that doesn’t mean that they are the right fit for every situation. If you’re tired of relisting your property or you would just rather avoid the complications of the process, there are many reasons why selling to an investor can be a better fit for your situation. If your home is run down or needs a lot of repairs a realtor may not even be willing to work with you. They may ask you to complete a list of repairs before they’re willing to market your home for you. Investors will never require you to complete any work on your home before purchasing it. An investor is already aware of the work your home will need before they purchase your home. They’ll draw up an offer that reflects the work that needs to be completed. You will never be asked to be responsible for paying for any repairs that may need to be done. Investors are willing to purchase a home with any amount of work needed – fire, water or mold damage, burst pipes, a roof that is caving in or even a home that is uninhabitable. They’ve seen it all and will work with contractors to handle any problem. When your home is in foreclosure you have a very small window of time in which you can sell the property to avoid foreclosure from being completed. It is typically about 90 days. If you are in this situation you need to sell your home fast. Your credit can still be damaged, but it’s far less significant than if you had completed the foreclosure. Trying to sell your home with a real estate agent in this situation can be risky. There is just no guarantee that you’ll be able to lock in a buyer and close in enough time to avoid the foreclosure. Investors regularly buy homes in foreclosure, and they are very familiar with the process. The added bonus is that an investor will buy your home with cash, avoiding the long waits required for a typical buyer to get approval from a bank for a loan. An all cash deal can close in as little as seven days. Realtors can find you buyers that want your home, but the majority of buyers don’t purchase a home entirely in cash. That means they need to get approval from a bank in order to purchase your home. This process typically takes up to 3 months to complete, and sometimes they end up being denied down the line. You will have started a lengthy process for nothing and have to start again with someone else. Investors have their own money. That means no bank approvals, no inspections, no hang ups or complications with escrow process. You will receive the amount that you and the investor agreed upon. Simple, fast, easy – an all cash purchase makes things so much easier. Realtors won’t sell your house for free. The average realtor will take a 5-6% commission on the sale of your home. This can be over $10,000 in most cases! That means the sale price can be deceiving since you are not actually receiving all that money. The commission is split between your selling agent and the buying agent. Investors don’t charge a commission fee because it is unnecessary. The process is one on one – no middle man that you need to pay. The goods are presented, the money is exchanged, and everyone leaves happy. The closing process can add up pretty quickly. When you sell your home using a real estate agent you’ll be footing the bill for closing costs. 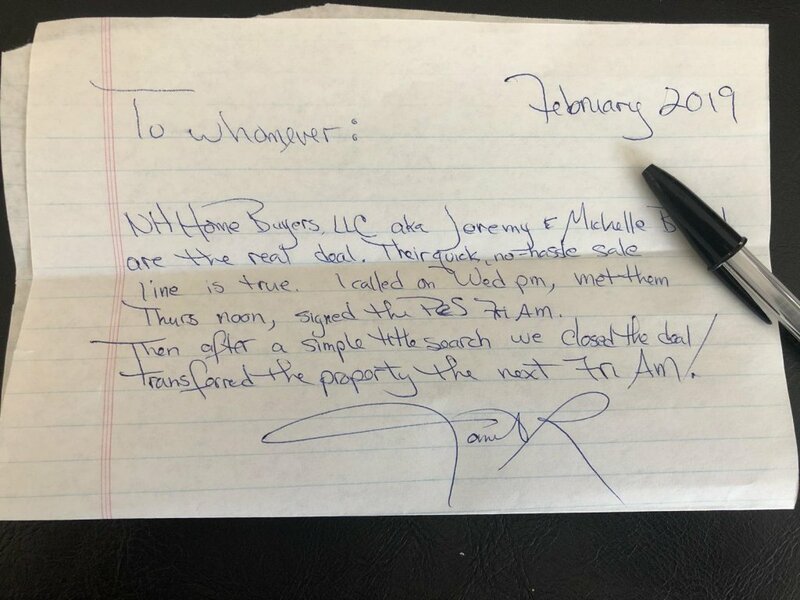 When you sell to an investor the closing is the investor’s responsibility, and they will pay for anything that comes up in that time period. Since they won’t ask you to pay for any repairs on your home, you’ll receive the agreed upon price and the offer will always stay exactly the same. All of these benefits add up to one major benefit. When there are no agents involved, commissions to be paid, closing paperwork to worry about, or loans to wait for approvals for, an investor can go from point A to point B very quickly. Since an investor is paying with cash, the closing process does not need to take months to complete – just days. In as little as seven days to be exact. 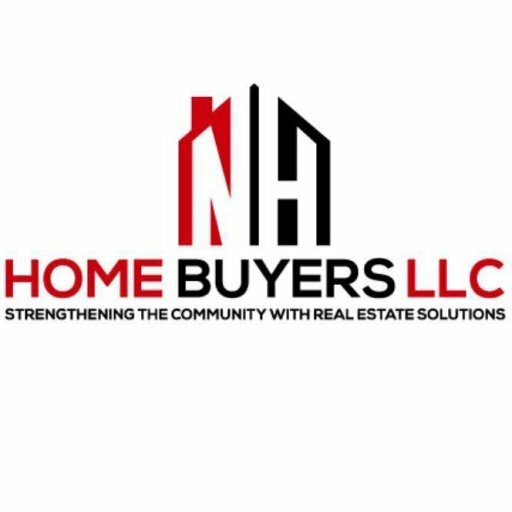 If selling to a real estate investor sounds like something that works best for you and your situation, please call us, NH Home Buyers. Owners Jeremy & Michelle are real estate investors and experts at solving any real estate problem that you think you may need to overcome. They can answer any questions you have and give you a fair offer on your home in as little as 24 hours. No obligation, just a conversation. How to sell my house fast? How to sell my house for cash? How to sell my probate house? How to sell the house I inherited? How to sell my house as is? How to sell my house asap? Making a difference in people’s lives one house at a time.